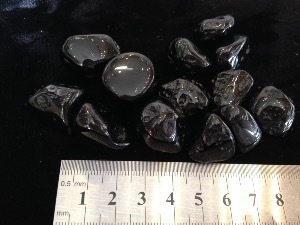 Tektites are natural glass objects primarily composed of silica. Tektites found on Earth are formed by large asteroidal or cometary impact with the Earth. The force and energy from the impact melts earths’ rocks and ejects them into the upper reaches of the atmosphere which then fall as tektites. 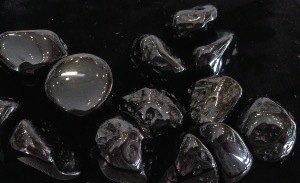 Tektites tumbled to a smooth finish, an ideal pocket size stone, small enough to carry around with you. Tumble Stones can also be placed around the home for their energies or can just be nice decorative items.